Switching the source of fibre in a calf starter ration has prompted an increase in daily liveweight gain of around 10 per cent in young calves, a new study has found. 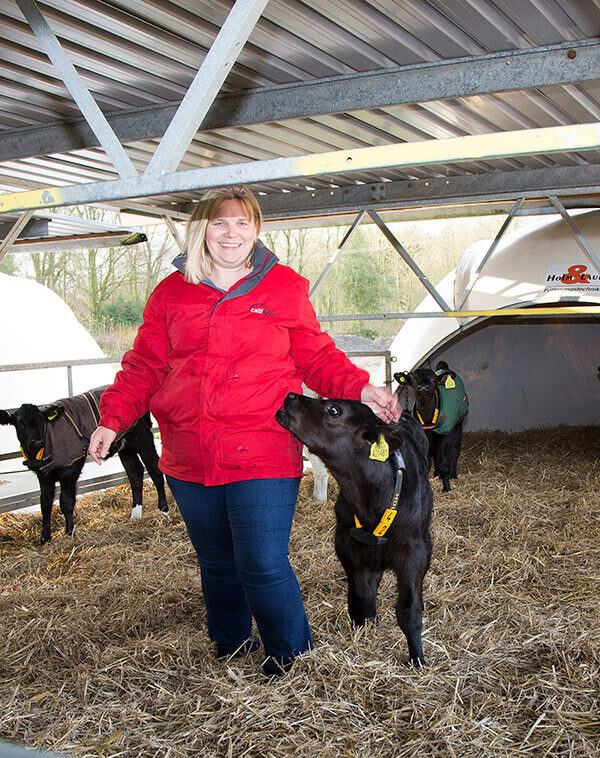 The study, carried out at Emma and Joff Roberts’ farm near Leominster, took two batches of evenly-matched two-week old calves past weaning over a nine-week period. One batch was offered the usual calf starter nut alongside milk, with the other offered the same nut but with most of the soya hull content replaced by nutritionally improved straw (NIS). The calves fed the standard ration gained an average of 0.99kg per day over the nine-week period, whereas the calves fed the NIS ration gained 1.1 kg per day. The cost per kg of each calf starter was the same, but the calves on the NIS ration ate 3.5% more – 152 kg each compared with 146.8kg. 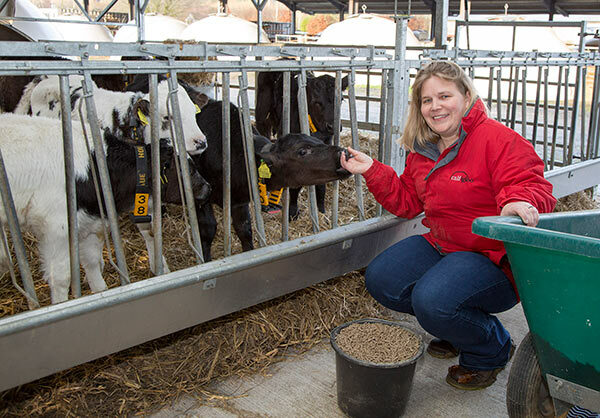 Emma, who rears around 700 calves each year, taking them from two to twelve weeks of age, believes the difference lies in the effectiveness of the fibre source in kick-starting rumen function and avoiding the post-weaning ‘slump’. The calves were noticeably thriving on the adjusted ration; aside from the liveweight gain, I recorded 190 incidences of dirty tails throughout the period in the group fed the control ration, compared with 113 in the group fed the NIS diet. We’re repeating the study to get a better idea of the average gain we can expect but we’re confident there’s a positive effect. Even our vet has commented on the bloom on the calves fed the NIS-based diet. Wynnstay’s feeds product manager Steve Brown, who set up the study, says using a more digestible form of fibre in the NIS-based ration improved rumen development.